The FEDERATION ANNA LINDH ITALIA Onlus was set up. Six hundred institutions together to promote dialogue and peace especially involving young people:"hunters" of the positive and "builders" of the future. The Federation, not-for-profit, shares the aims of the Anna Lindh Foundation: created in 2004 by the European Commission together with the 42 Euro-Mediterranean countries, it has its headquarters in Alexandria, Egypt and is structured into national networks set up in the respective countries. In particular, the Federation intends to implement initiatives in favour of young people, especially aimed at restoring their hope and confidence through the promotion of "true","beautiful" and "good": one of the objectives is to support exchanges between young people from the various Euro-Mediterranean countries through a pilot programme such as "Erasmus", identifying strategies to facilitate mobility while respecting safety. Another priority objective of the Federation is to carry out initiatives in concert with the main cities to activate places for and dialogue, supporting any action aimed at identifying, every three years, a "Mediterranean Capital of Dialogue", in the same way as the "European Capitals of Culture". 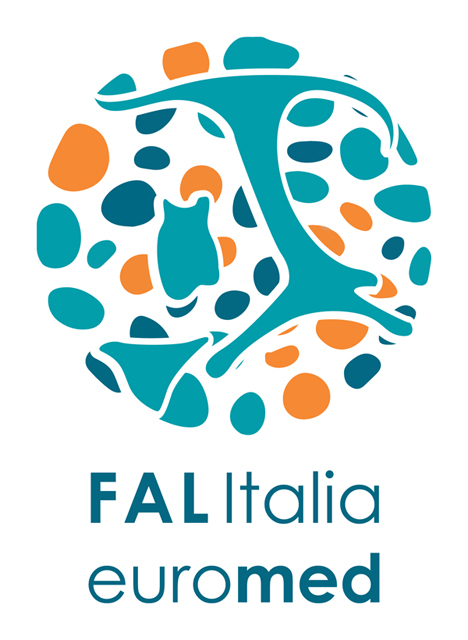 Most of the Federation's members were founders, in 2004, of the Italian Network of the "Anna Lindh Foundation" and represent, as a group of networks, more than 600 organizations that, in fact, share the aims of the Federation. Their activities, characterized by concreteness and usefulness for the common good and for the real needs of individuals, have been recognized with Official Resolutions by States, Regions and Institutions of the main Euro-Mediterranean Countries officially representing over 400,000,000 citizens.